A deep bayonet fit lens hood is provided and this fits securely and smoothly. This surrounds a 49mm filter thread. The hood is very useful in general photography, but when we get down to macro distances it can quite happily be discarded as the front element is already well recessed into the barrel. 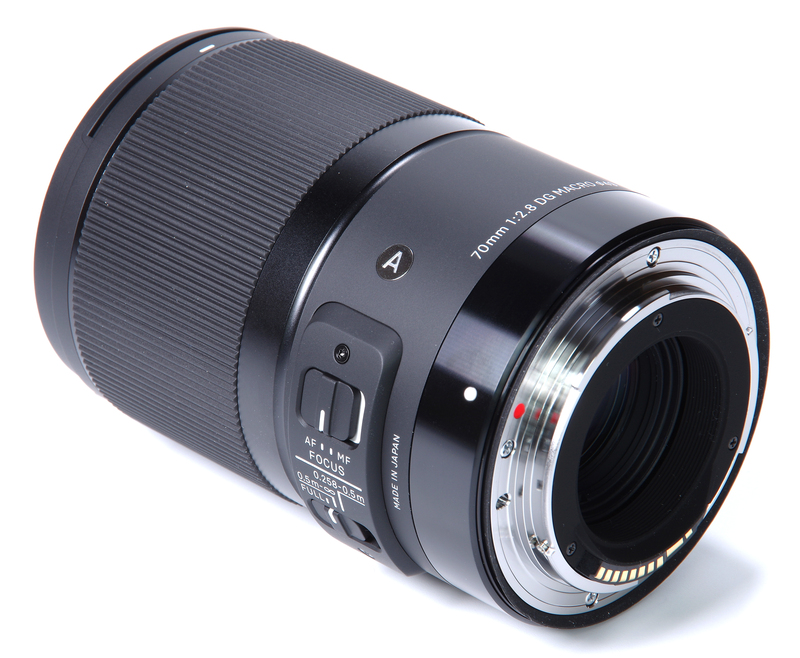 There is a second reason for removing the hood for macro shooting, as it would obscure the distance and magnification markings that are engraved on an inner barrel that extends forwards some 4.5cm from the main lens. This extending barrel is very well stabilised and shows no wobble whatsoever. There is no technical reason why the bayonet lens hood could not be used at macro distances if the markings were not required. It would afford additional protection to the extended lens as the extension never goes beyond the length of the hood. 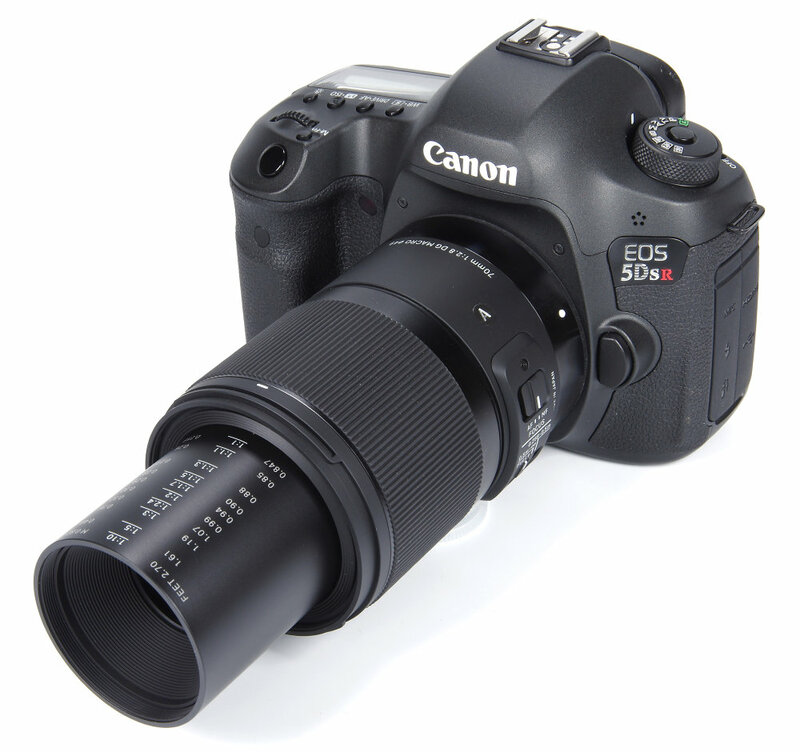 The manual focus ring is motor driven so the camera must be switched on to effect manual focus. 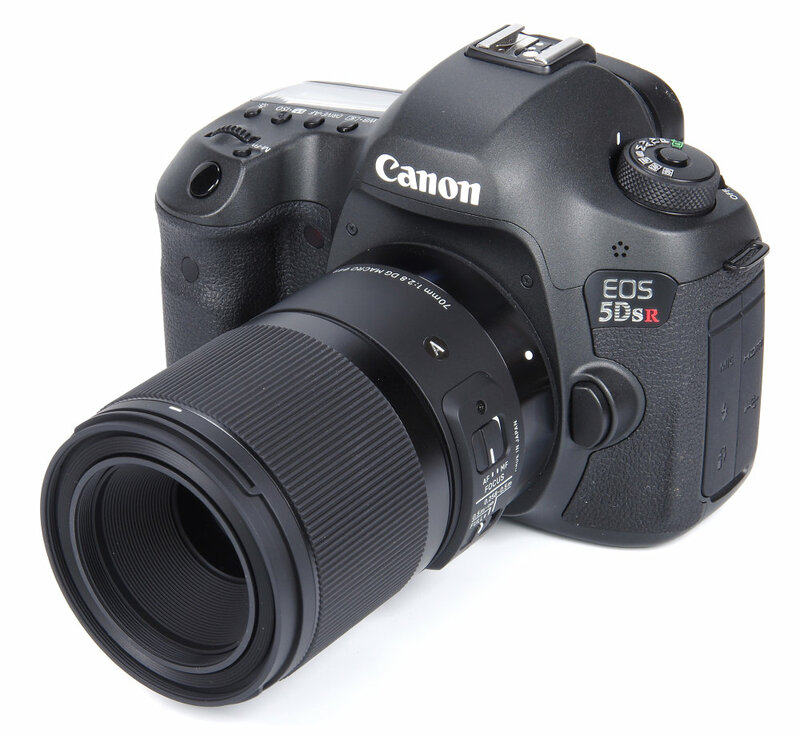 This is totally smooth and has just the right sensitivity to ensure that precise focusing is possible. Focusing is down to 25.8cm, or 2.847 feet, a maximum magnification of life-size, or 1:1. Manual focusing tweaks can be applied even when the lens is set to AF, in the case of Sony E fit lenses when the camera body is set to DMF. On the subject of macro shooting, the instruction leaflet provides an interesting and useful table showing how the lens aperture changes as we focus closer, and hence how the exposure also changes. At a magnification of 1:10 (one-tenth life-size) the aperture is already reduced from f/2.8 to f/3.1 and the exposure needs to be increased by +0.2 EV. When we reach 1:1 magnification, the aperture is f/5 and the exposure increase required is +1.6 EV. This shows why conventional lenses traditionally would focus down to around 1:10, the point at which exposure error started to be significant. Of course, set to auto exposure the camera will compensate accordingly, but should the photographer wish to use a separate meter then these changes need to be manually applied and the table becomes very useful as a guide, listing as it does the figures for a full range of magnifications. Apart from the manual focus ring, there are just two switches on the lens barrel. The AF/MF switch is self-explanatory and there is also a focus limiter to help prevent unnecessary hunting. Full range, 0.5m to infinity and 0.258m to 0.5m can be selected. This could be useful for macro shooting as otherwise, the lens does tend to move fairly slowly through the full focusing range before locking on to close subjects. AF, in general, is very precise but not particularly fast. Optical construction is 13 elements in 10 groups, multicoated of course. The lens weighs in at a reasonable 515g, not overly heavy but still reassuringly solid in its construction. There is a rubber seal around the mount to protect against water splashes, but no particular claim to weather resistance in general. The teleconverters TC-1401 (1.4x) and TC-2001 (2x) can be used, with one oddity in handling when using the former. With the TC-1401 AF only operates from 0.5m to infinity, so for shorter macro distances, the combination becomes manual focus only. Used on the full frame 5DSR the 70mm focal length is actually quite a good balance and it could easily replace the 50mm and 100mm lenses. AF is a bit on the slow side, but it is very precise and locks on positively.